When you see someone with a Shure product, it stands out because of the very look that it possesses – it’s made for professional musicians and it shows. The construction is durable and looks like it could take a beating (at least more of a beating than anything in its category – not that it’s made for wartime or something) and over and above that, Shure offer long warranties for their products. 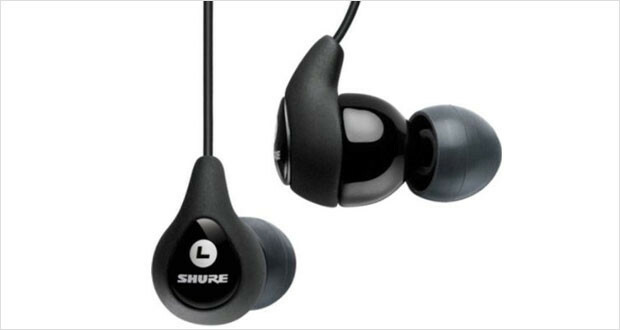 In the case of the Shure SE110 Headphones, the warranty is for two years. This just goes on to show that the SE110s are one of the most durable in ear canal-phones available in the market today. They do this by giving a rich sounding instrument with a super-durable connection between the earphones and the cable, which in itself is three times the diameter of what is found in the market. In our journey to find the best noise cancelling headphones, the SE110 comes with the legacy and technology of Shure, this one fits somewhere in the higher-middle range of the series. While the sounds are very neutral and rich for the ears, the sparkly highs and deeper lows found in higher-range phones is not found in these. While these might not be the best in ear headphones available in the market, they are much better than what the competition was when they were launched first. Rugged construction after thorough research by Shure’s engineers, the SE110 is a premium offering into the world of noise-free music anywhere. The ‘phones come with a fit kit that allows for the perfect fit, while on a plane or exercising, thanks to the thick, modular cable design. The included Music Phone Adapter allows you to control the music on your device without taking it out of the pocket. Dimensions1 x 1 x 14"
Fruity highs that satisfy, but are no match for the sparkly notes found in the higher end models. Quite warm mids that ultimately lack the definition expected from audiophile earphones. Thumping bass will make you head-bang in the middle of the road, but the definition suffers here again. Satisfying performance, but could be much better. The Shure SE110 Headphones manage to impress with the durable construction, heavy-duty cable and great performance, but ultimately fall short of true greatness because of the lesser quality sound of its superiors.